Buy 148 or more for $6.64 each. Regarded by believers as the foundation stone of their faith, and as a stumbling block by those who struggle to believe, the resurrection of Jesus lies at the heart of the Christian gospel. 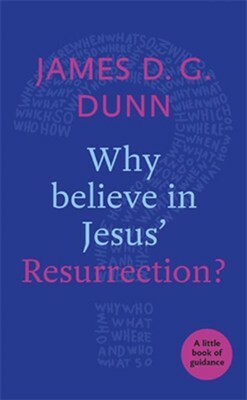 James D. G. Dunn sets out clearly and fairly the arguments for and against Jesus' resurrection, and explains why most biblical scholars believe the weight of historical evidence points in its favor. I'm the author/artist and I want to review Why Believe in Jesus' Resurrection? : A Little Book Of Guidance.